In 2001 local Samburu communities formed the Sera Wildlife Conservancy (SWC) with the aim of bringing together three historically rival ethnic groups to ensure the conservation and sustainable use of natural resources in their traditional lands. The SWT continues to develop its collaborative management practices and monitor their effectiveness. Vegetation surveys have been carried out to measure the impact of livestock and inform a community-led grassland management plan, policed collectively by the participating communities. The security of the rhino sanctuary is paramount, with a team of 33 local rangers supplemented by a mobile anti-poaching unit. There is also support for the surrounding communities with infrastructure development and the establishment of local small enterprises. 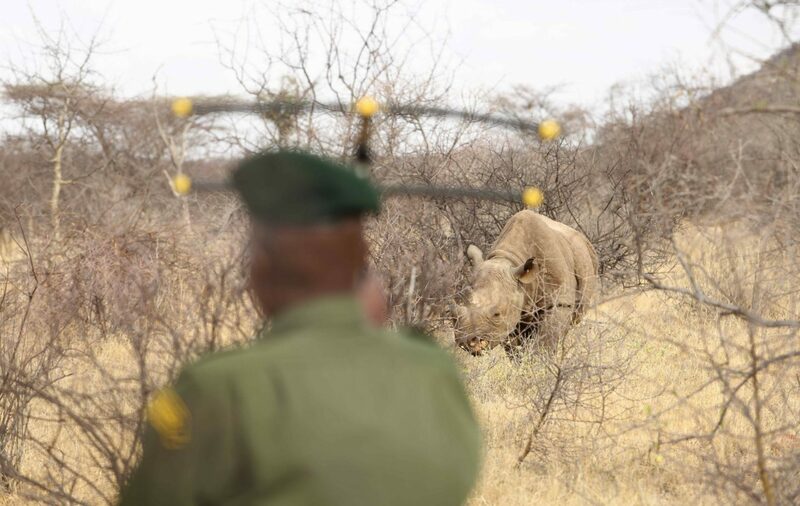 Tusk’s funding was instrumental in the construction of the Rhino Sanctuary, which has already seen the first black rhino birth on community land in Kenya for 25 years. We also provided support to construct and maintain the Moto outpost, to improve the monitoring and protection of the rhino. In addition we have helped run conservation awareness campaigns and install water pumps for local communities. Tusk also supports the Northern Rangelands Trust which Sera is a member of. This grassroots project is an inspiring model of how rural communities can support and benefit from rhino conservation. But it needs continued funding to fully implement its admirable vision.